Get away this Thanksgiving and join us for a relaxing holiday stay. 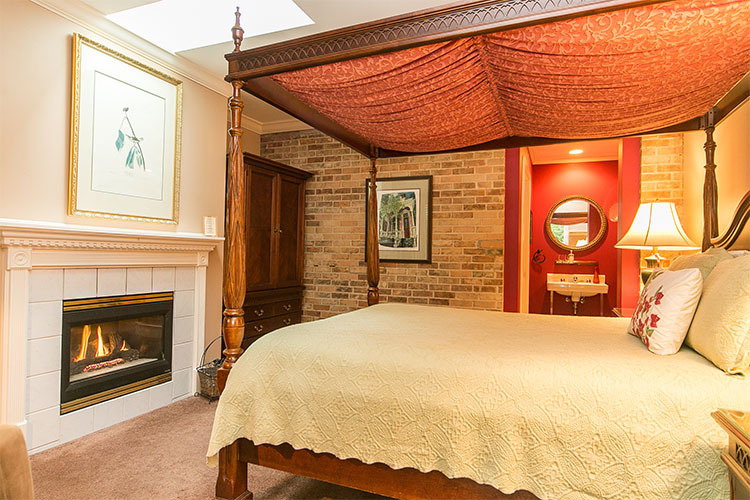 Our Kilimanjaro Suite and Orleans Cottage feature romantic fireplaces, soothing whirlpools for two, convenient mini-kitchens and an in-room continental breakfast so you can start your day when you want, no schedules here at Hidden Garden. WEDNESDAY -At check-in on Wednesday, you’ll receive a complementary cheese plate and some hard cider, all produced in West Michigan. THURSDAY-After your in-room continental breakfast featuring our homemade muffins, you can hike the dunes, watch a movie from our extensive DVD library or settle down with a book in front of a warming fire. at Saugatuck’s friendly, unique shops, galleries and boutiques. Enjoy a 12 noon check-out. This entry was posted in Specials, Uncategorized by admin. Bookmark the permalink. We spent three nights in the Orleans apt.